“The Yorkville Terraces On The Avenue” is a collection of luxurious terraced residences that has opened the door to alfresco living - Yorkville style - at Pears On The Avenue. 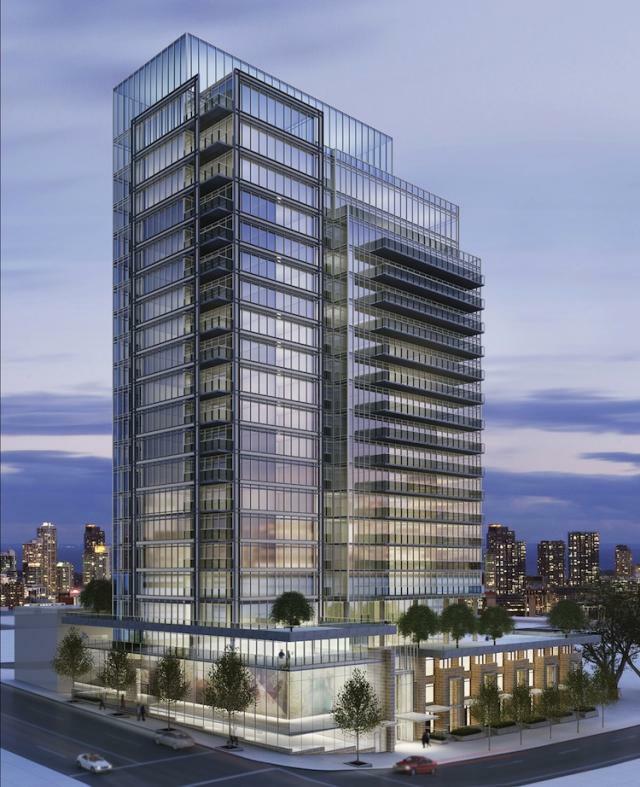 Menkes is offering a select number of suites with spacious terraces that range from 219 to 1,355 square feet to accommodate those with a passion for the great outdoors. Prices for these expansive terraced designer suites are from just the $600s, which is remarkable value in this coveted Toronto neighbourhood at Avenue and Davenport Roads, where Yorkville meets The Annex. The terraces will serve as outdoor living rooms, ideal for glorious entertaining or creating a private landscaped urban retreat. Hurry to take advantage of this unique opportunity, as only a handful of these terrace residences are available. Highly successful Pears is now over 70% sold, and preparations are well underway for the onset of construction in the fall. Professional singles, couples, move-up executives and empty-nesters alike look forward to living close to this prestigious neighbourhood’s designer boutiques, shops, restaurants, galleries, museums, cafés and parks. Designed by Page + Steele/IBI Group Architects, Pears is a classic contemporary 20-storey boutique building with a three-storey glass-and-brick podium, and will contain 175 suites. The landscaped outdoor terrace set atop the podium is by NAK Design. Interiors and amenities by Munge Leung include the three-storey lobby with its dramatic spiral stairway, a spa-inspired indoor pool and whirlpool, fully-equipped gym, yoga studio / meditation deck, multi-purpose party room, screening room, private boardroom and guest suite. Among the high-quality appointments are 9-foot, smooth-finish ceilings; engineered wood flooring in the main living areas; and Munge Leung-designed kitchens and bathrooms with luxurious features and finishes. Be sure to tour the multi-award-winning 1,336 sq. ft. two-bedroom Munge Leung-designed model suite before the spectacular Presentation Gallery is closed to make way for construction in the fall.